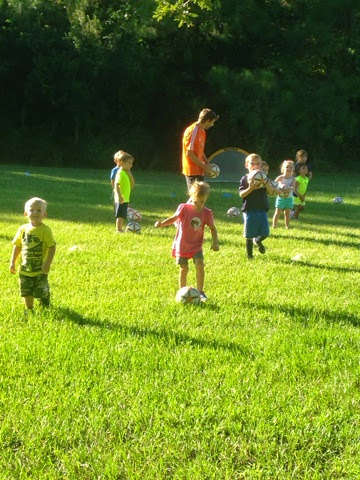 Princess had her first soccer practice today. 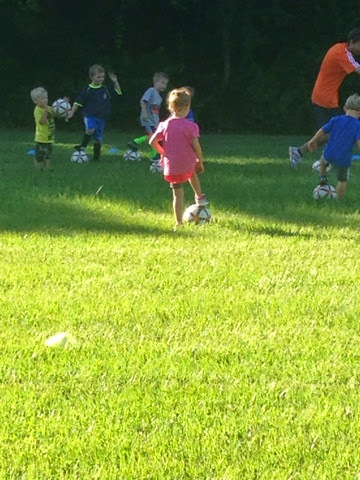 The ages are 3 to 5 and being 3 years and 2 weeks old she was taller than everyone else there!!!!! 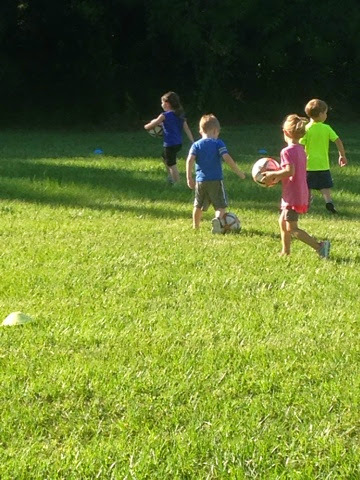 She had a hard time following instructions because she was he youngest, but she just watched the other kids and followed along. She loves her coach and giving high fives. 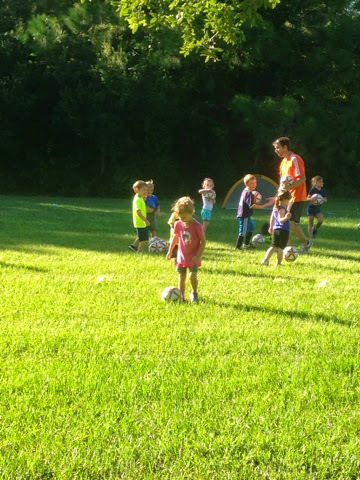 I am not particularly interested in soccer, but I am trying to keep her in a sport until she can join the swim team and start her Olympic career!! !